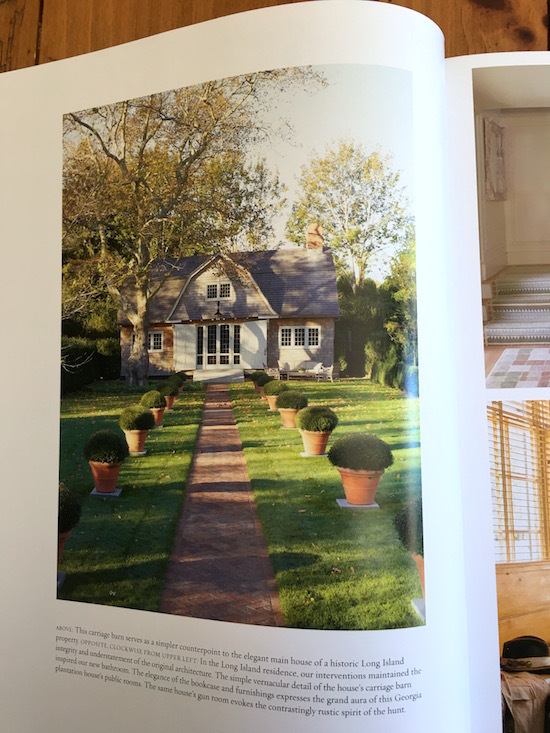 Coffee table books about houses and homes have become one of my favorite things to collect. I look for them at estate sales, ask for them as gifts, and occasionally treat myself to a new one. Two new favorites were released in the last couple of months and – coincidentally – they have the same name: A Place to Call Home. 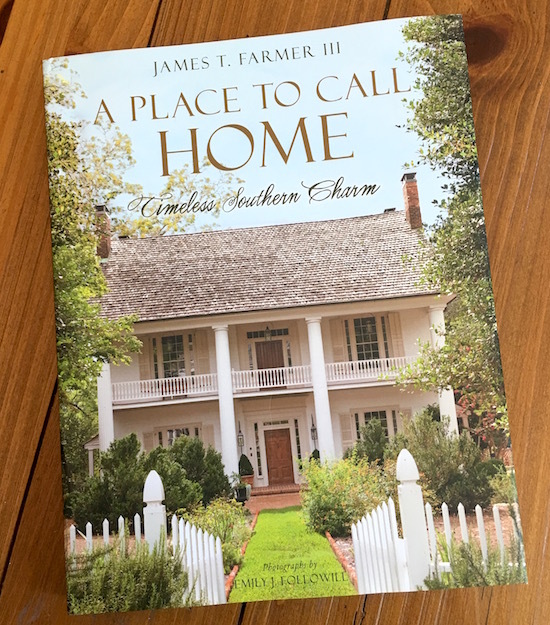 The first is A Place to Call Home: Timeless Southern Charm by James T. Farmer. I’ve been a reader/follower/fangirl of James for a while now. 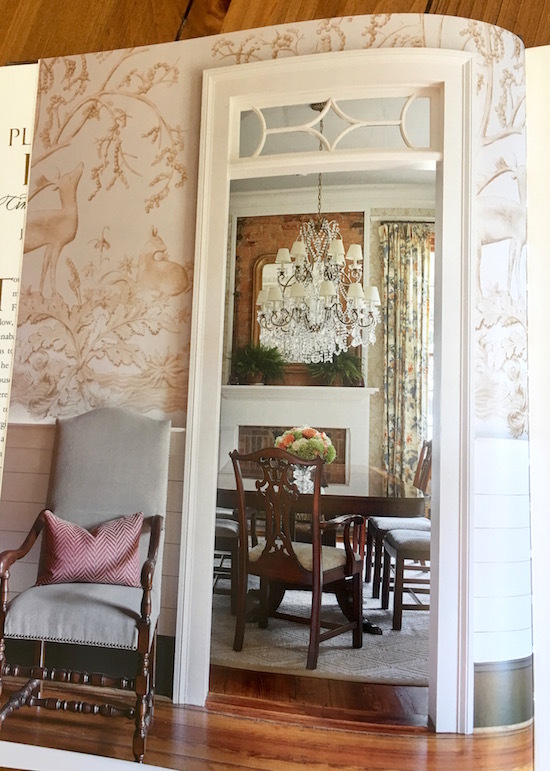 I love that everything he does – from interior design, to gardens, to entertaining – is classic and Southern but in such a warm, un-stuffy way. 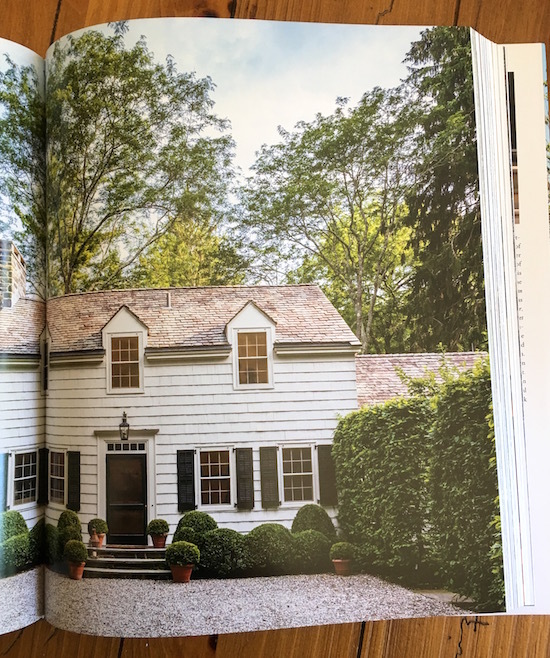 The book is made up of homes that James has played a part in designing, including his own house in Georgia. 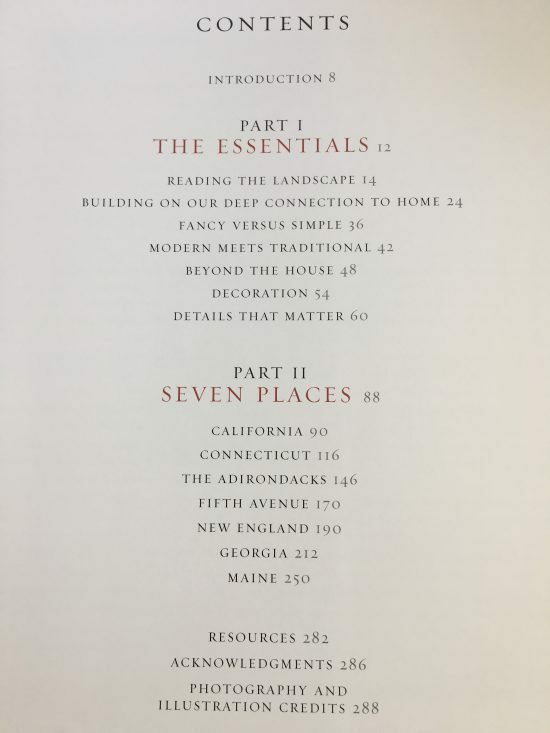 You can see by the chapter titles that each home is very tied to the place where it sits. I love that. 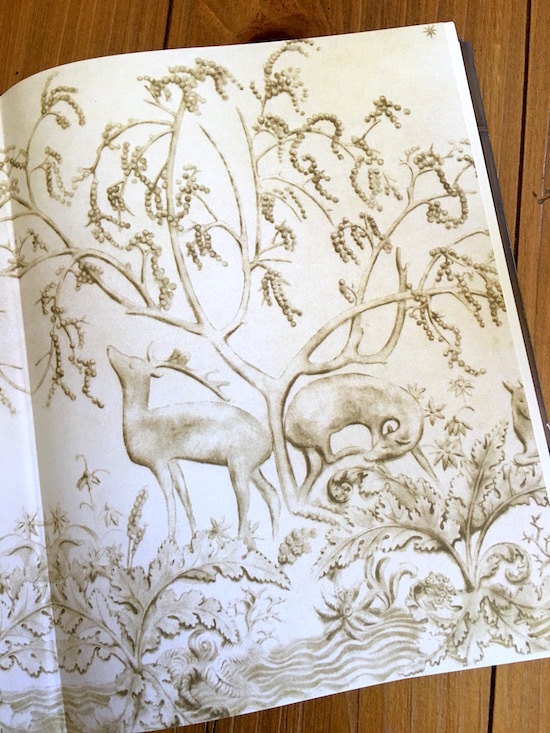 …which is actually a wallpaper used in one of the houses. Every page of this book is stunning. Here are a few of my favorites. 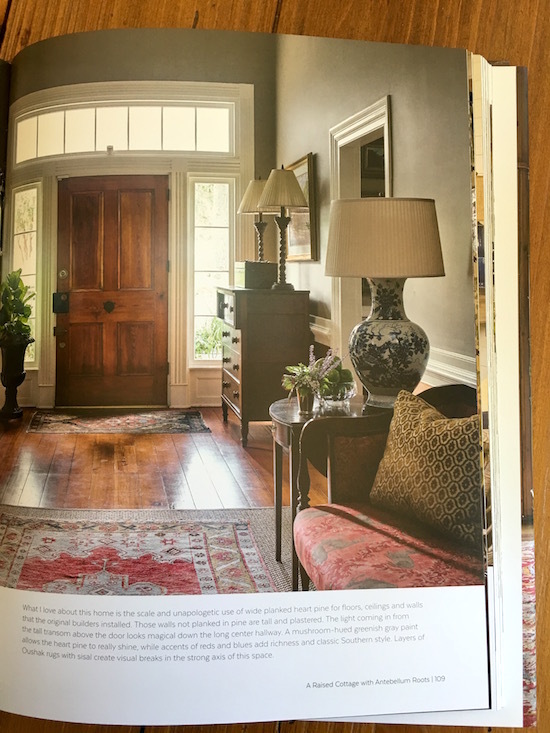 I recently created a Pinterest board just for paneling, so the fact I loved this warm, pine-paneled room doesn’t surprise me. 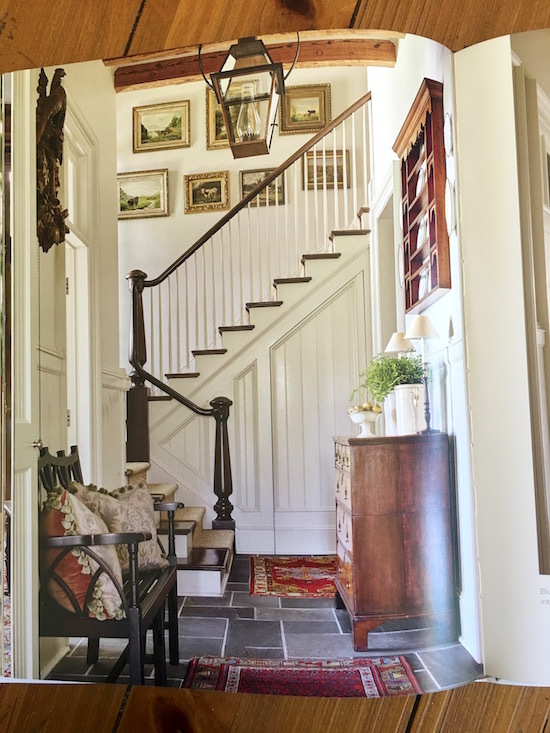 And this is about the perfect foyer to me: the warm wood chest, the wainscoting/paneling, the gallery of small oil paintings, and that lantern. Look at the door built under the stairway. 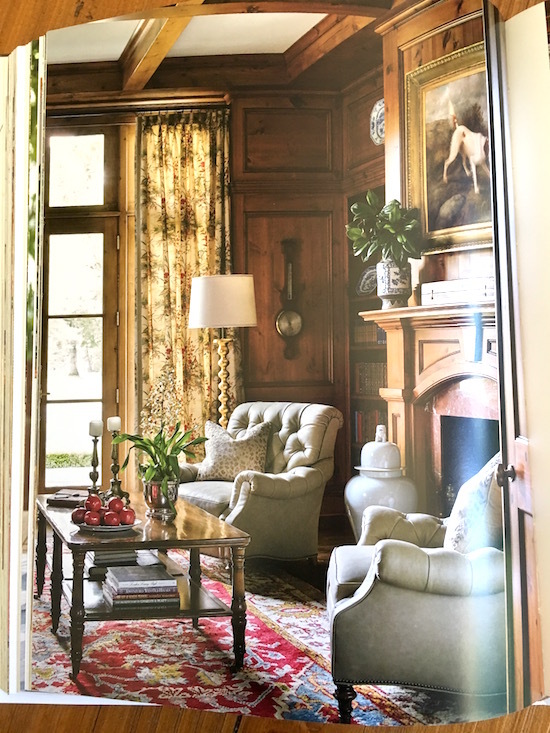 More warm woods, layered rugs, and the barley twist and ceramic lamps. There’s a lot of grasscloth in these homes. I love how it adds a layer of texture to the room. 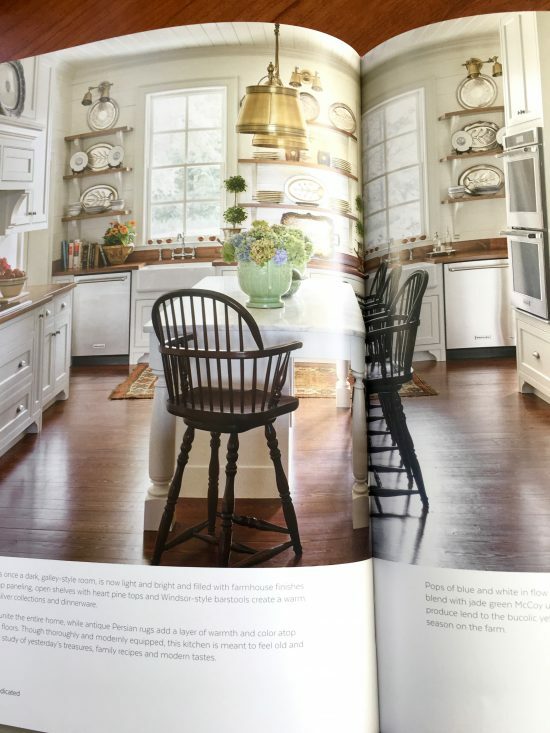 The brass pendants, wood countertops, and Windsor stools add so much warmth to this classic kitchen. More grasscloth. And every house needs books. Lots and lots of books. Don’t you think? 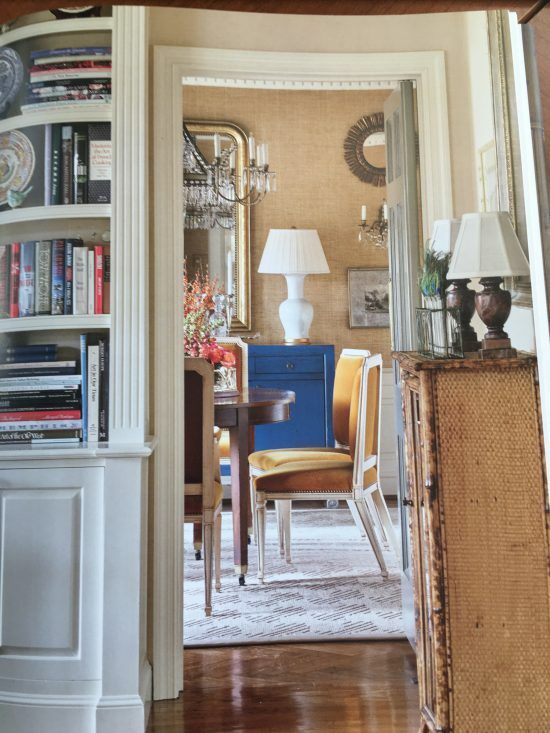 The ceiling, the toile wallpaper, and more warm wood furniture. Looking and the photos and reading the words in this book are like wrapping yourself in a big warm blanket. I imagine I’ll be spending a lot of time with them during these upcoming fall and winter months, and that they’ll be inspiring me for years to come. 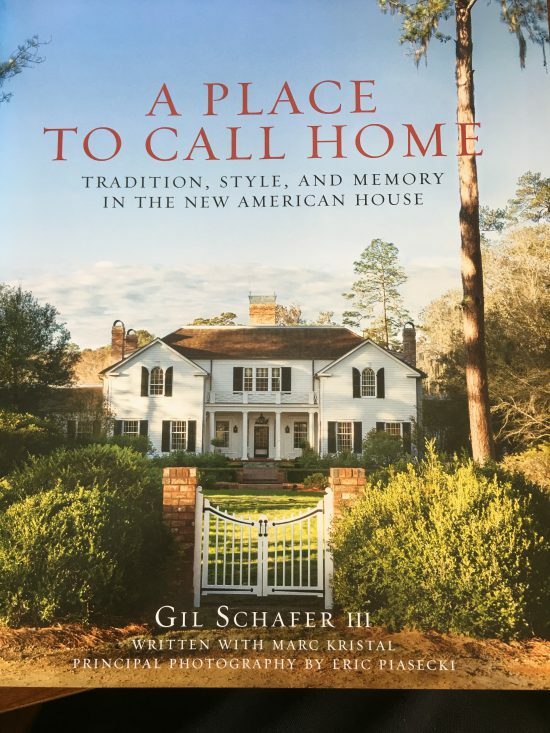 Now, onto the second book by the same name: A Place to Call Home: Tradition, Style, and Memory in the New American House by architect Gil Schafer III. This book was actually released on my birthday and it arrived at my door that same day, courtesy of my kids. A little bug was put in my daughter’s ear by one of her coworkers, who shares my love of houses. How lucky am I? I can’t begin to describe to you how stunning the photography in this book is. 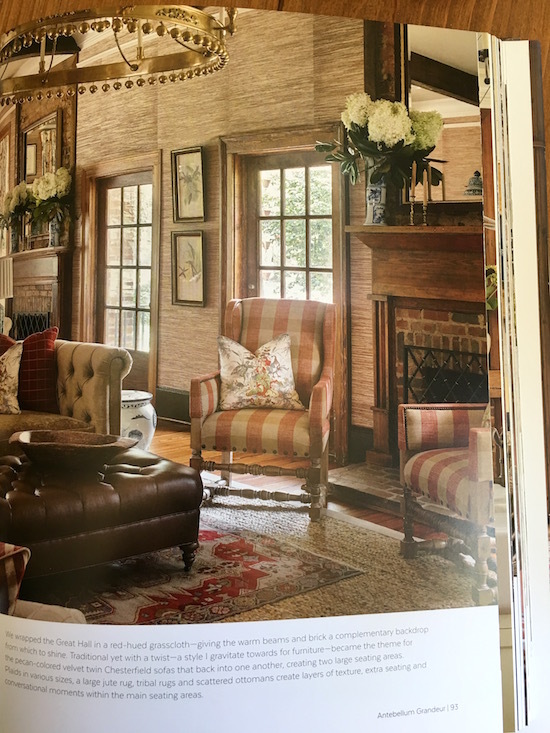 This book is 10″ x 12″ and the picture above is one of many full page photos in it. 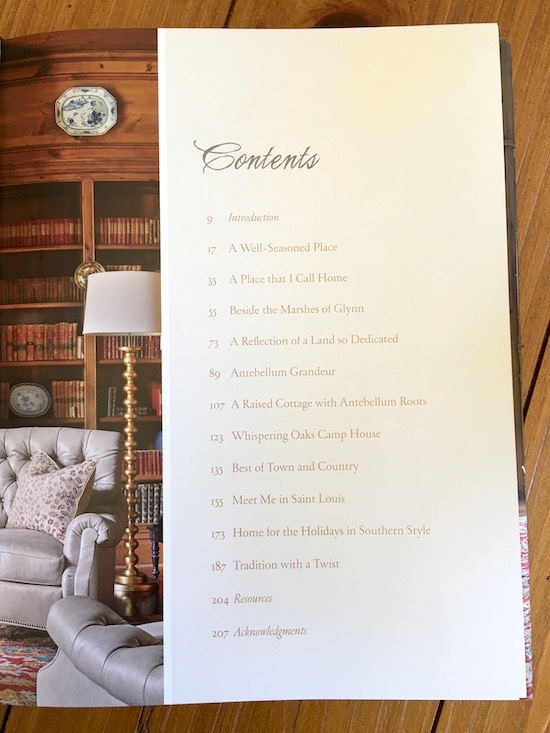 As you can see, the book is divided into two parts, the first dealing with the essentials, meaning the things that he, as an architect, considers with every project he does. The second part takes us through seven homes, again listed by where they are. I love how a sense of place runs strongly through both of these books. 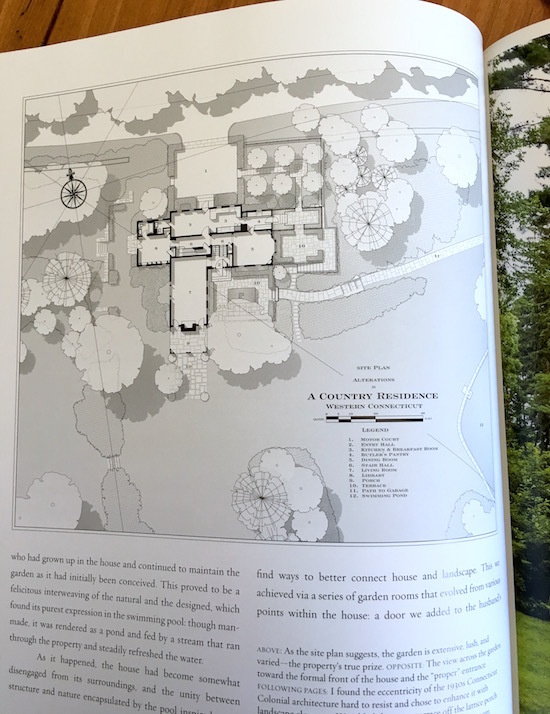 A special treat in this book is that a floor plan is part of the illustrations for each home. 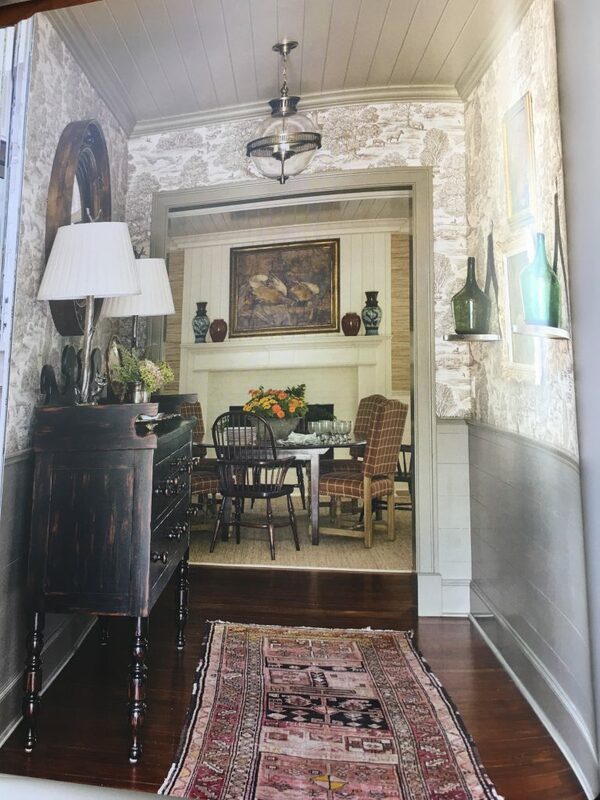 I guess that’s not surprising from an architect, but it’s wonderful to see how the photos of each room fit into the big picture of the home. 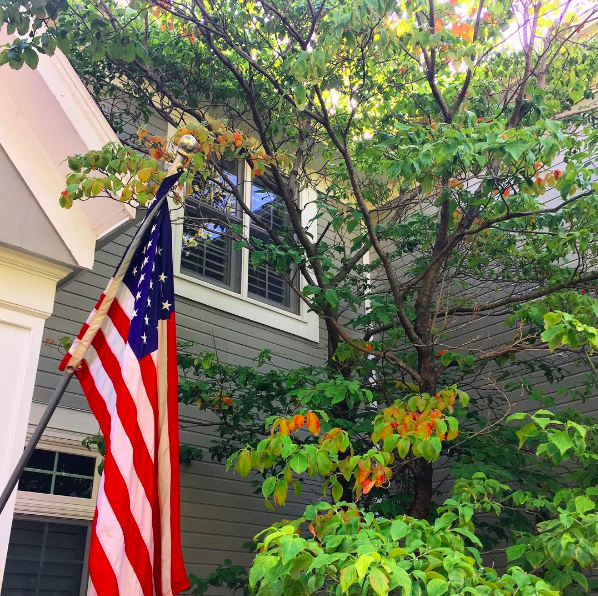 Here are more beautiful photos from this A Place to Call Home. How very hard it was to choose! 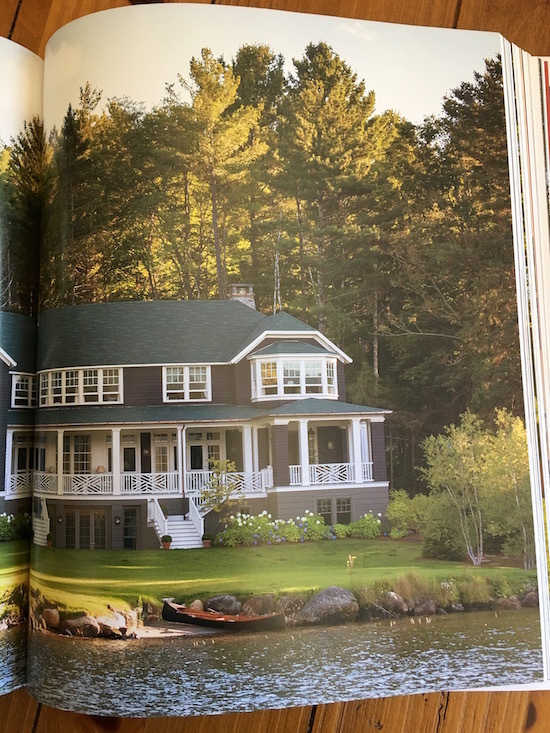 This is a lake house in the Adirondacks. 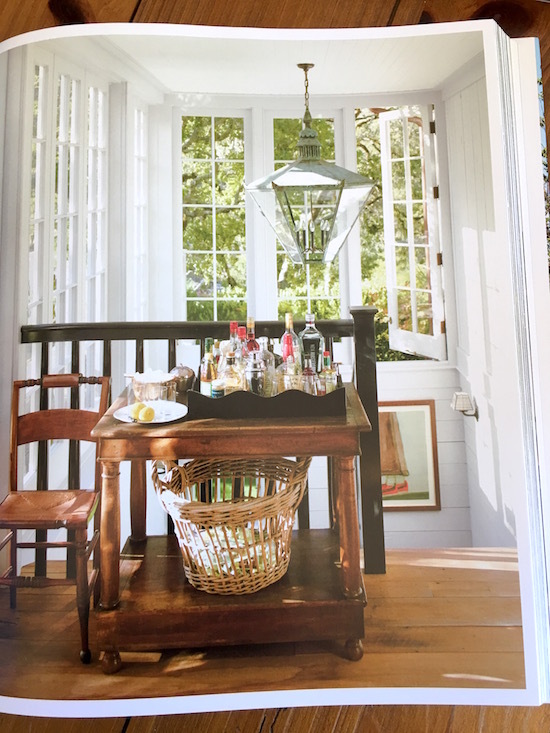 Look at the dining nook with the lovely view. 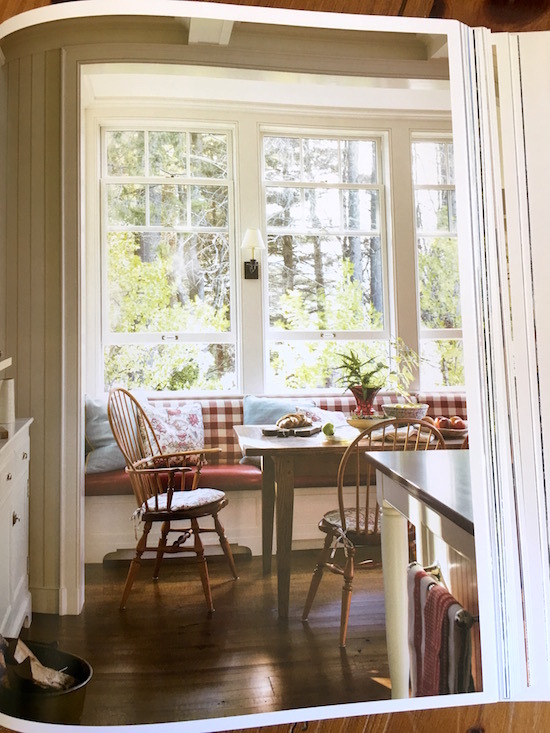 Love the red buffalo plaid and the Windsor chairs. 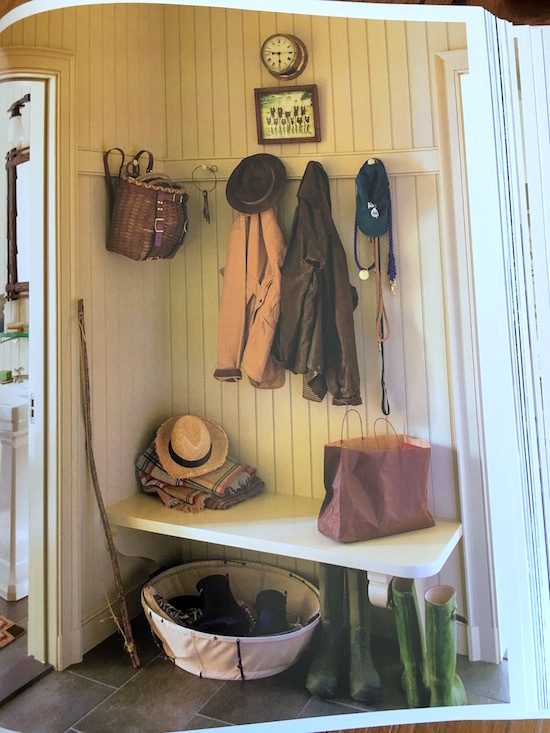 The perfect lake house mudroom. Another house…is there anything more classic than a white house with black shutters? 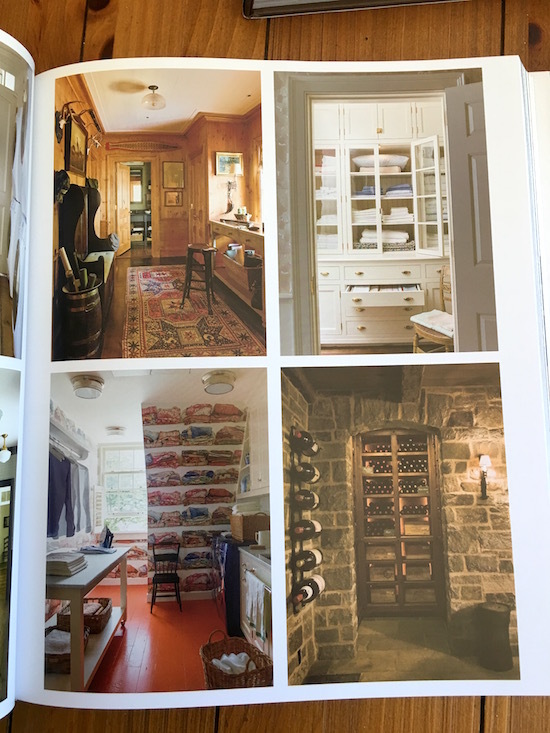 Oh to have a laundry/mud room like this one. At first glance I thought it was a kitchen. 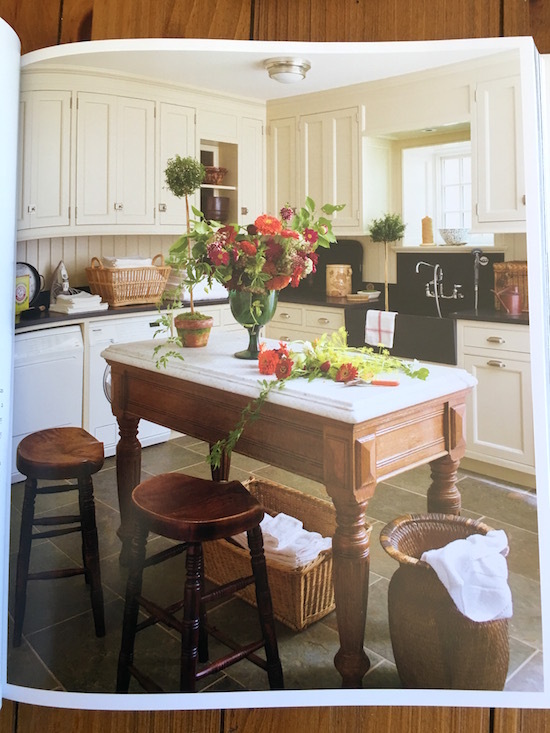 I adore that deep sink, the table topped with marble as an island, and the slate floor. A brick sidewalk lined with potted mums. So simple but so charming. 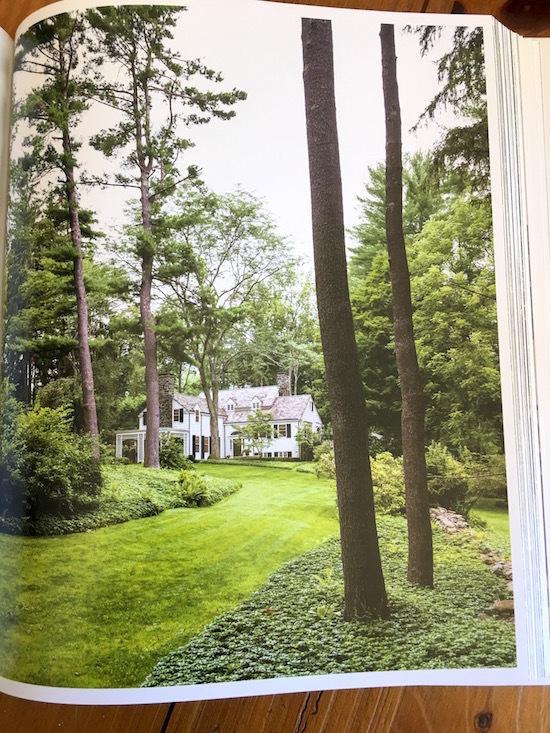 What I love about the homes in this book is how collected and lived in they feel. 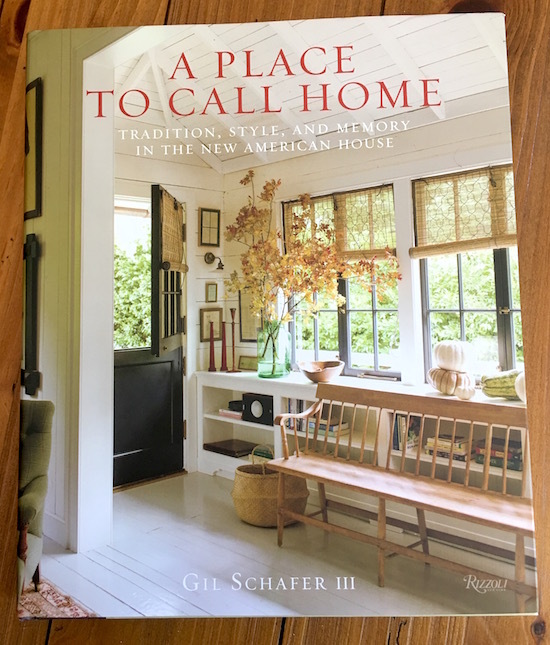 I’ve enjoyed this book so much that I’ve put Gil Schafer’s first book, The Great American House, on my Christmas list. I hope you found these books and photos as inspiring as I did. I couldn’t wait to share them with you. 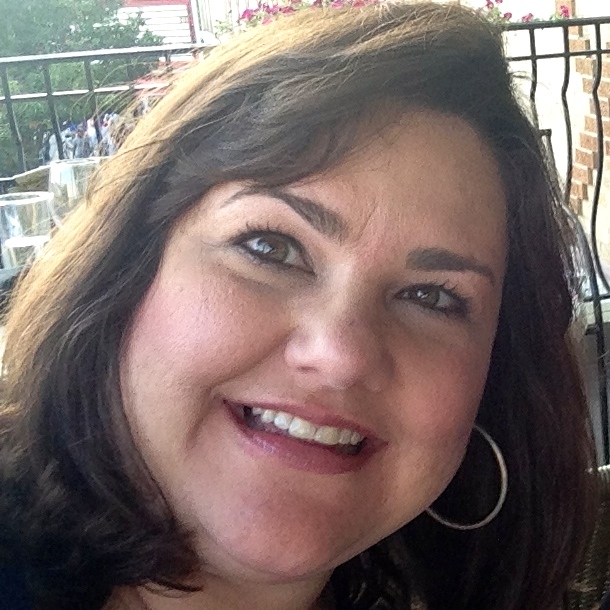 Hi Julie — I’m looking forward to adding these books to my “design library” as well. Like you I have been a fan of their work for some time. I also follow them on Instagram, they often post snatches of new projects. I know you’ll enjoy them, Janet! This is a fabulous email. Beautiful and inspiring pictures. I’ll look at both books. Thank you for reading, Linda. And for your nice words. 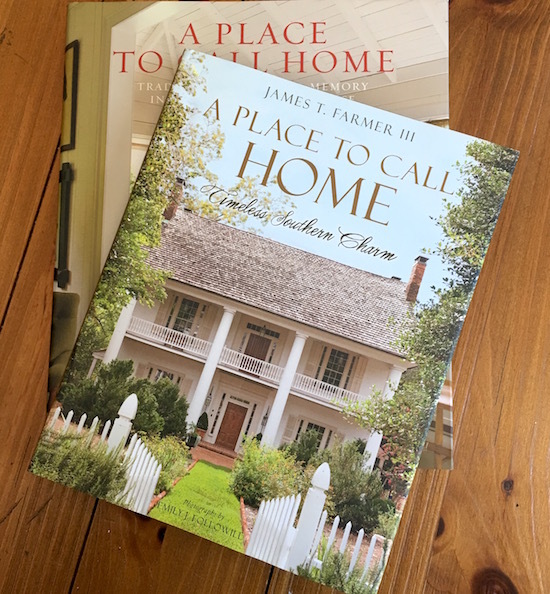 I have James Farmers book A place to call home and love it. I want Gil Schafer new book also. I have his book The Great American House. You will love it They are so beautiful with everything I love in them. Sounds like we have the same taste in design.